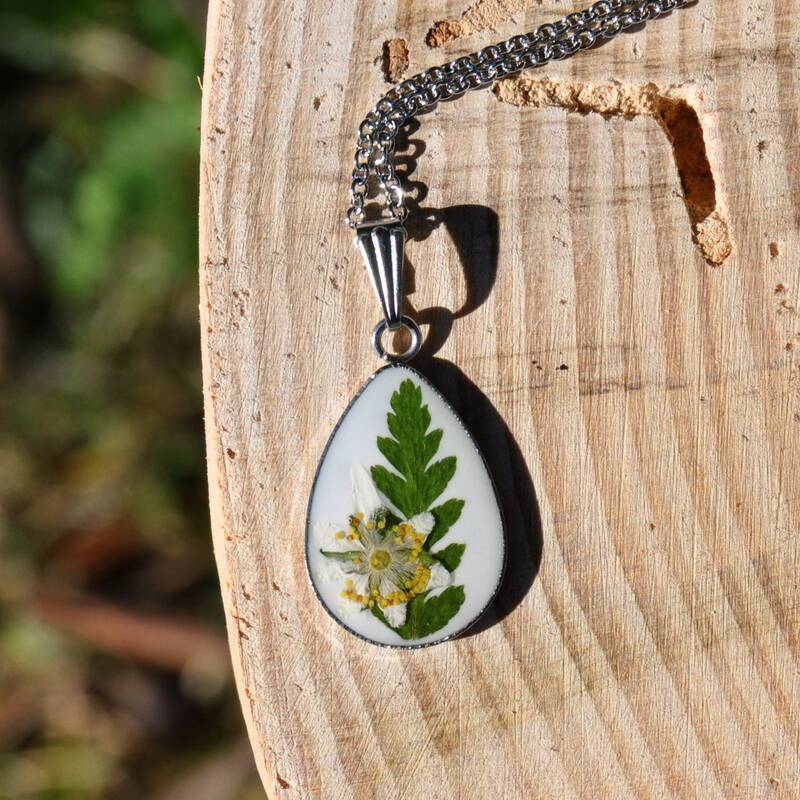 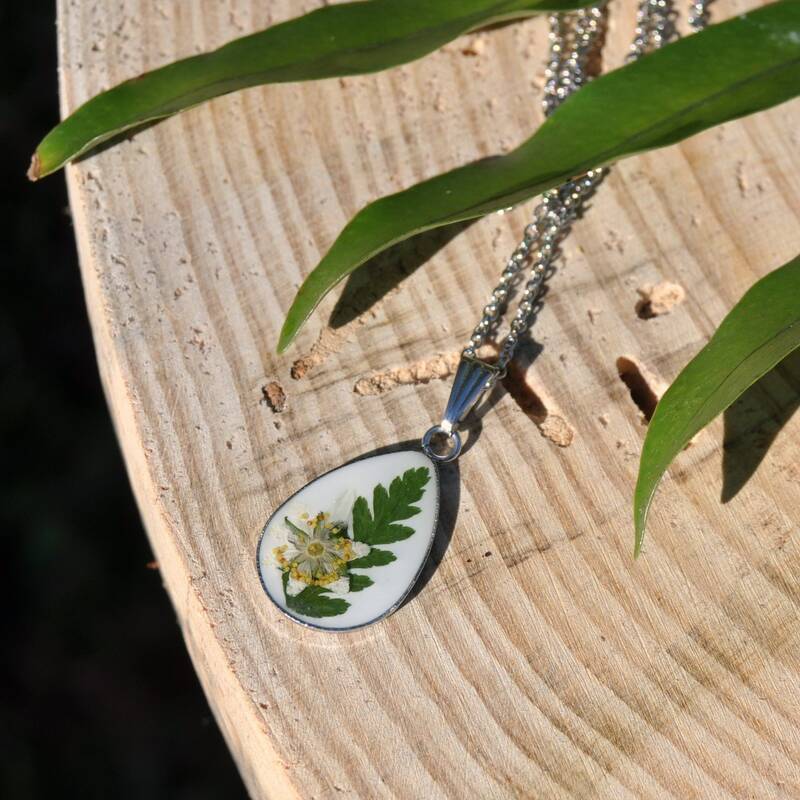 This dainty drop necklace contains a small piece each of pressed fern and native Dog Rose, that I picked from a nearby forest lane. 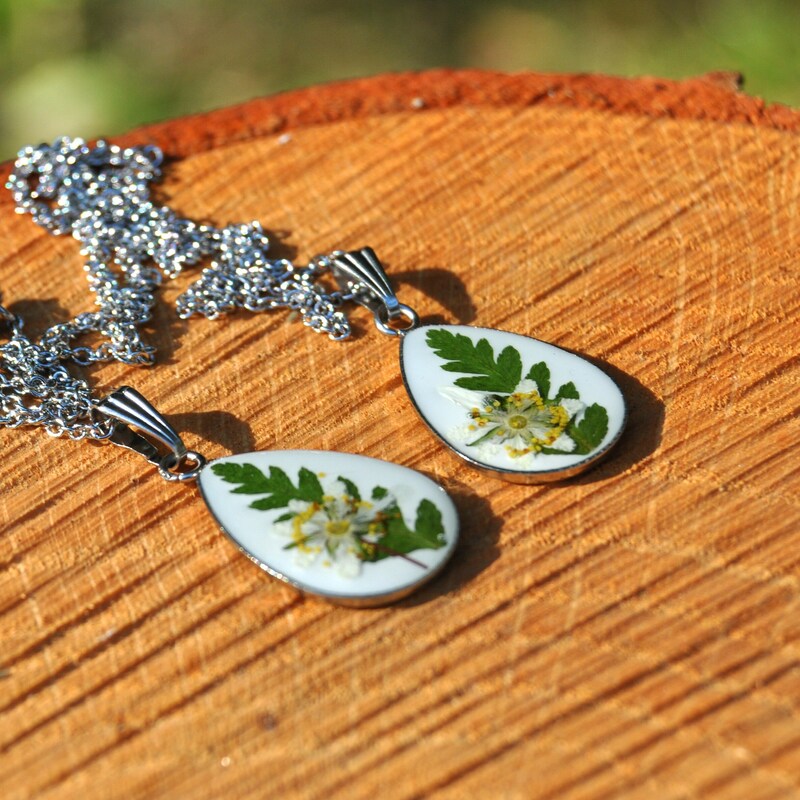 Set is a non-tarnishing stainless steel drop setting, the pressed fern and flower are set against a white background, and covered in a layer of clear resin, protecting the flower for years to come. 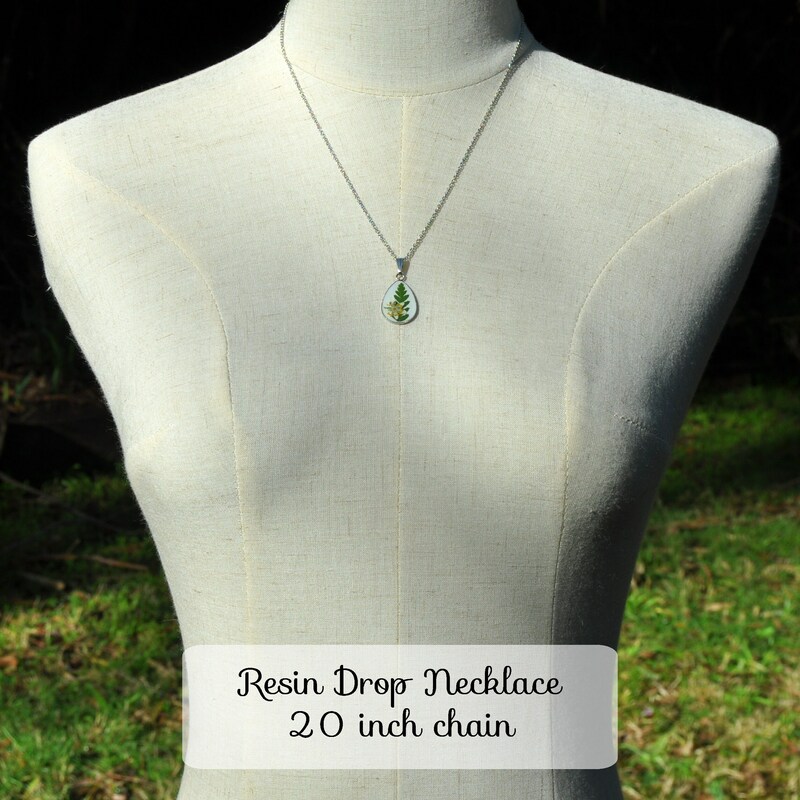 Each pendant comes strung on a delicate stainless steel chain, which is non-tarnishing, hypo-allergenic and exceptionally strong. 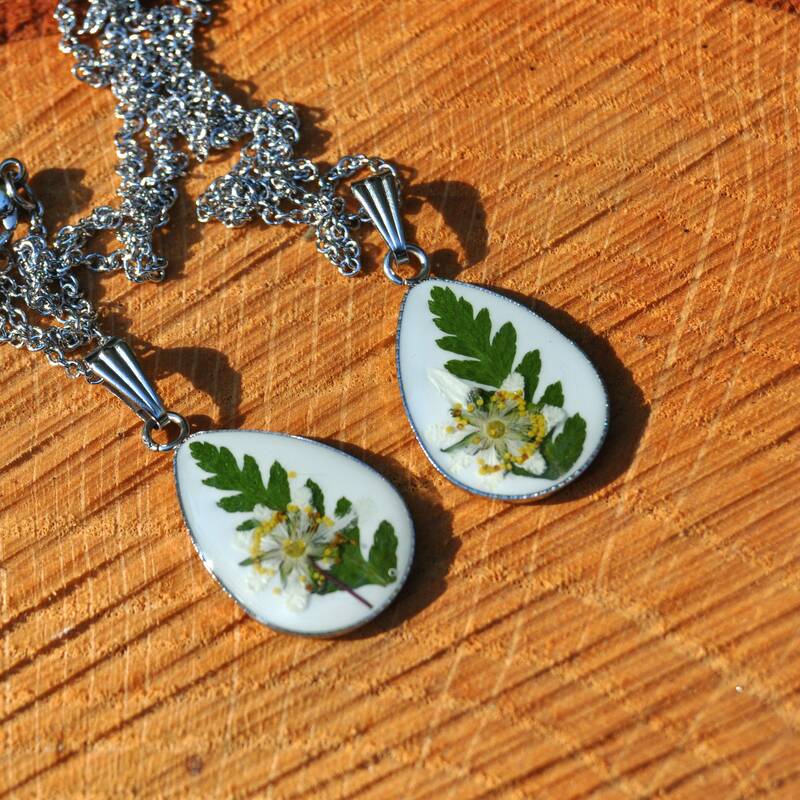 Pendants measure approximately 26 mm long x 16 mm wide.